John Brock established the Anise McDaniel Brock Chair in Cancer Innovation at Winship in honor of his mother. Mary and John Brock were introduced to Winship Cancer Institute when John's mother, Anise McDaniel Brock, was diagnosed with cancer. As then chairman and CEO of Coca-Cola Enterprises, John had access to medical facilities across the country, but their research on cancer centers led them to Winship and Emory. Although Mrs. Brock lost her battle with cancer, her experience during treatment bound the family to Winship. John Brock remembered, "As Mary and I reflected on my mother's really unfortunate situation and the fact that she didn't survive, we began to think about, okay, what CAN we do which, hopefully, might put future patients like her in abetter position?" Their answer was to become involved, and they did it in a most impactful way. As a Georgia Tech alumnus, John met with cancer researchers and physicians at Emory and Georgia Tech to discuss their research programs. These meetings led to the establishment of an endowed chair at Winship named in honor of John's mother, the Anise McDaniel Brock Chair in Cancer Innovation, in partnership with research scientists at both institutions. 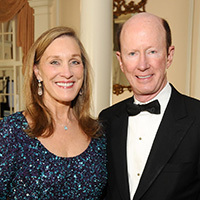 Along with their philanthropic support, the Brocks continue their involvement through Mary's role on Winship's Advisory Board and their personal support of special events. 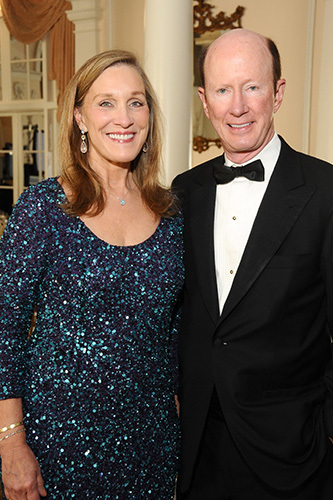 In 2012, Winship recognized the Brock's many contributions by naming them honorary chairs of the Winship Gala.